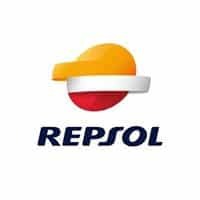 Here are a few of the most interesting Repsol statistics and facts I was able to dig up. As always, be sure to check back in the future as I will be updating this post as new and updated stats become available. Interesting Chevron Statistics and Facts (2019) | By the Numbers More Chevron statistics and facts than you will ever need to know including revenue and much more. Updated for 2019. Interesting ABB Statistics and Facts (2019) | By the Numbers More ABB statistics and facts than you will ever need to know including employee counts and much more. Updated 2019. Interesting Vattenfall Statistics and Facts (2019) | By the Numbers More Vattenfall statistics and facts than you will ever need to know including employee counts and much more. Updated 2019.